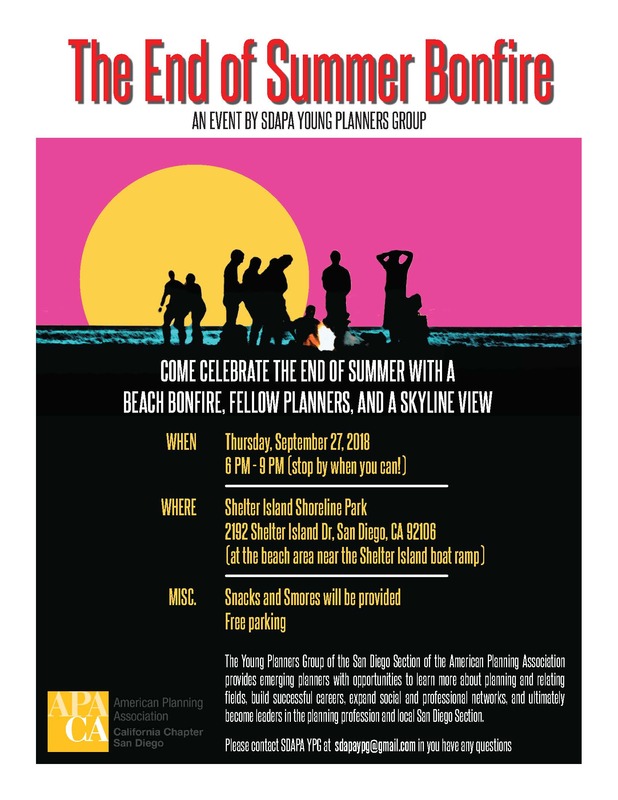 Come celebrate the end of summer with a beach bonfire, fellow planners, and a skyline view! Meet us at Shelter Island Park (2192 Shelter Island Dr., San Diego, CA 92106). We will be at the beach area near the Shelter Island boat ramp. Snacks and smores will be provided.